Bread has been a part of people’s system. It is one of the best substitutes for rice when we can’t afford to buy them. Baking has just been a hobby for some people but now they make a living out of it. We can notice the different experiments of people about breads as we come across variety of types of breads in a bakery. There is a saying: “Baking soothes the soul”. How can it not? There is this something which guarantees the relaxation of the baker and during the process; you will find yourself relieved from stress because of its creative process. So, if you are ever looking for stress relieving course for yourself, better check this one out as it suggests variety of options to undergo. Interested in baking? 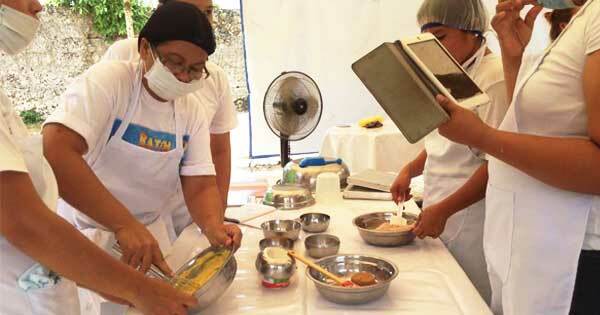 Then check out Bread and Pastry Production in TESDA. We guarantee you; everything you read above is legitimate. This program helps you in preparing products such as pastries and deserts in restaurants, hotels, and any other food related firm in the country, more or less, in your own bakery. In line with this is the skill to prepare bakery products, bakery decoration techniques, desert packaging procedure, and safety awareness with accident prevention. Undergoing this Bread and Pastry Production NC II, short course requires 141 hours to completion. Requirements are the usual set, having your Birth Certificate authenticated by NSO, 1x1 and/or 2x2 Pictures, High School Diploma, Police Clearance Certificate, Barangay Clearance, and Certificate of Good Moral Character or Honorable Dismissal. You may find employment, being an assessment passer, as a Baker, or Pastry Chef in restaurants or in Bakery Shops. Bakers and Pastry Chefs differ from one another, though they are both products of the same course. The assignment of Pastry Chefs will be the preparation of pastry products, cooking and preparing breakfast or snacks like Burgers and Sandwiches. It all depends on the restaurant that you will work for. They have exclusive menus that you need to learn before working. You are required to undergo OJT (On the Job Training) for this program. This is to help you grow and teach you more techniques and strategies in designing, preparing, and of course, the basic information of Bread and Pastry Production. How much for the tuition fee for this course? Good day po, isa po akong dating OFW,naisa ko pong magaral online sa inyong programa sa TESDA ng BAKERY AND PASTRY PRODUCTION, ako po ay walang time para tumungo sa inyong area,sa kadahilanang ako po at may karamdaman sa KIDNEY FAILURE every other po akong dianaDIALYSIS,sana po mabigyan po ninyo ng pansin ang aking kahilingan ,Maraming salamat po,MABUHAY PO KAYO,GOD BLESS PO..
How much is the tuition fee of this course ? Hi. Saan po pwede mag inquire if anong schedule ng bread and pastry course?